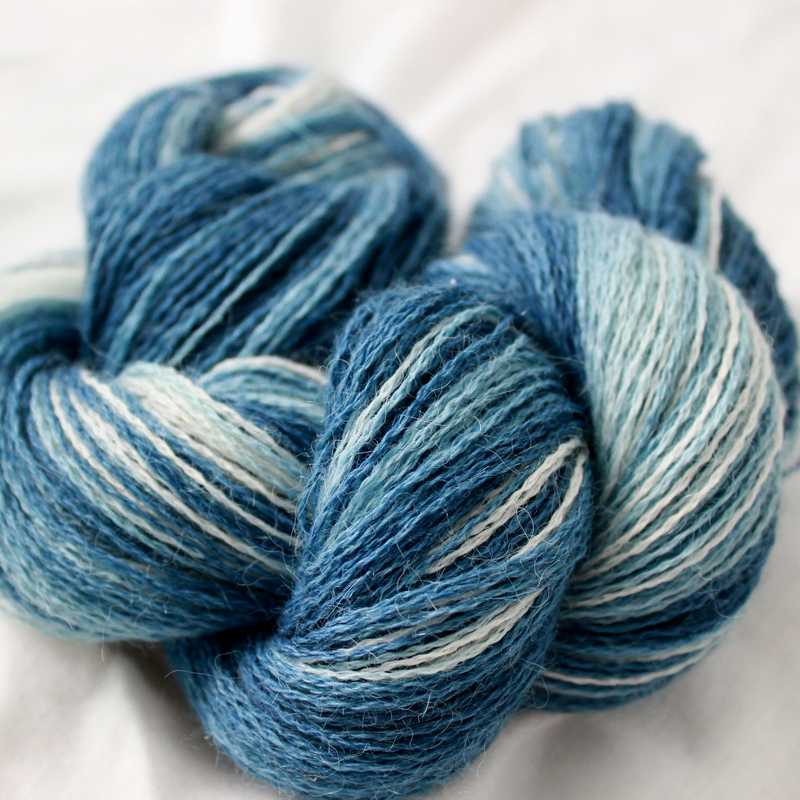 We’ve added a new colorway for our Alpaca Silk Yarns: There and Back Again. The color goes in a smooth gradient from creamy white all the way to dark blue over a 63-inch loop, and then back. 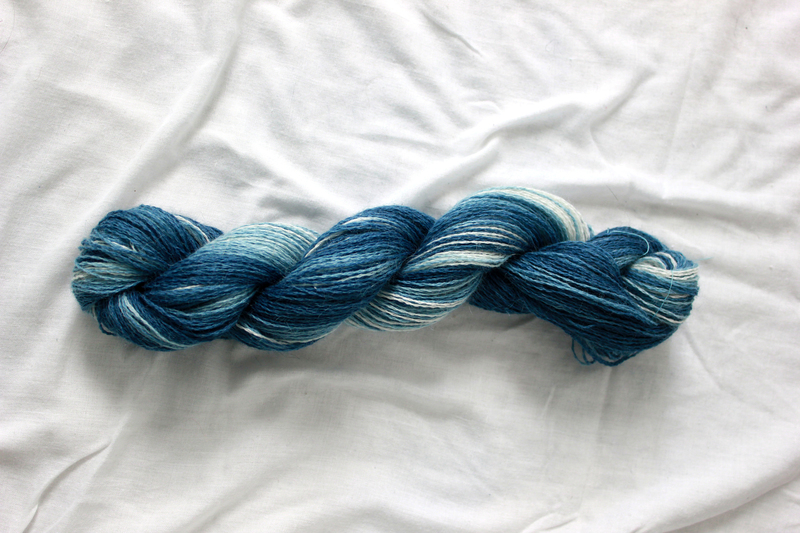 Hand-dyed with natural indigo. Like it? Available on Etsy. 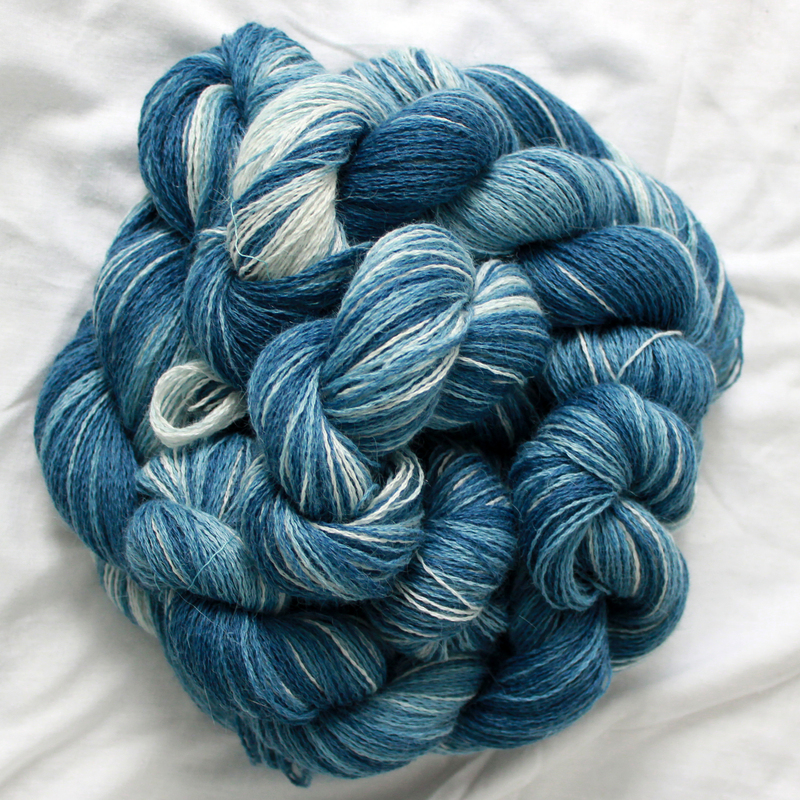 We currently have 5 hanks in stock, enough for a large, luxurious shawl or a smaller garment. Need more? You can always send us a special request.